Lactose maldigestion is the difficulty to digest lactose, a type of sugar naturally found in milk and dairy food. Lactose maldigestion concerns most people in the world. 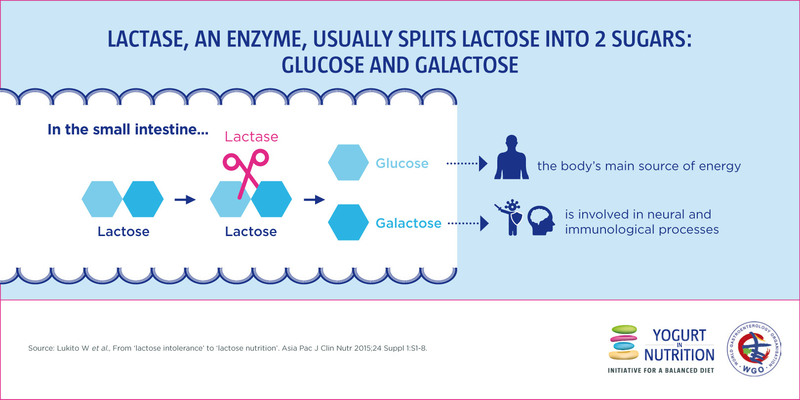 It is due to the normal reduction of the activity of lactase, the enzyme that transforms lactose into glucose and galactose, both simpler sugars used by our body for energy and various functions. 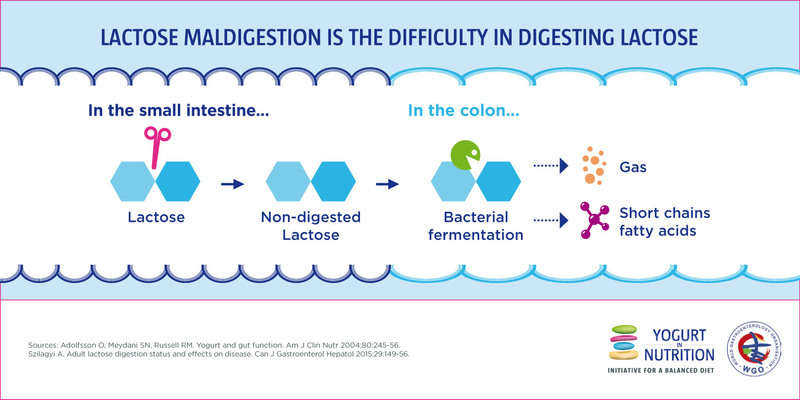 Lactose maldigestion appears after weaning, when the activity of lactase begins to naturally decline. African, South American, Southern European, and Australian Aboriginal heritage than in people of Northern European (Scandinavia, the British Islands and Germany) descent. Adolfsson et al. Am J Clin Nutr 2004; 80: 245-56. Szilagyi et al. Can J Gastroenterol Hepatol 2015; 29: 149-56. What is the lactose intolerance?